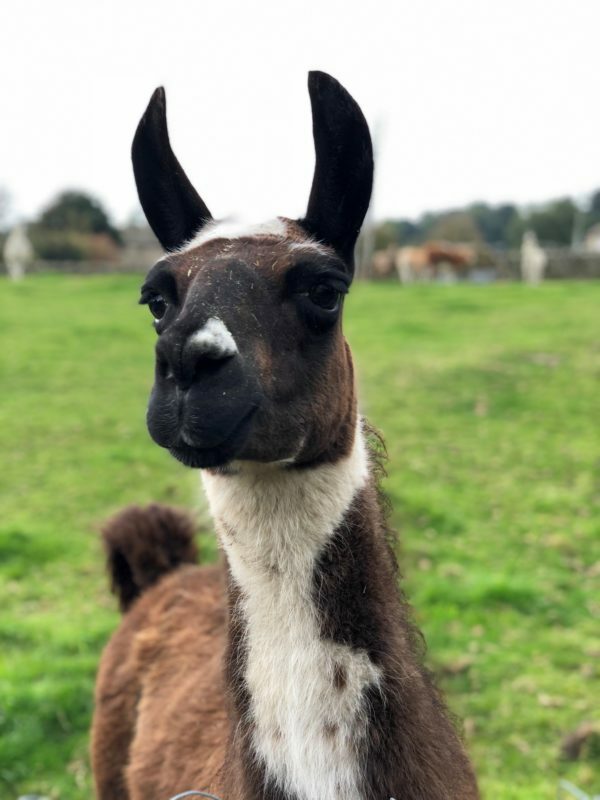 Lance joined the trekking team in 2018, he is a confident chap who doesn’t believe in rules. He totally has a mind of his own! He likes to lead the treks out, and if he is anywhere else in the line he will sulk. Lance loves his trekking; he likes to try take his human off in a different direction to the rest of the trek, he just loves to explore. He is a very affection llama, who loves to cuddle up to his human out on the treks. A very funny aspect about Lance is his super long top lip which he likes to move around and pull lots of funny faces – he will have everyone in fits of laughter along the way. Lance’s ideal trekking companion is someone who is very confident and up for a laugh, he likes his cuddles but does need a strong willed human to keep him in line.